Bayern remained nine points behind Dortmund but climbed to third, a point ahead of Eintracht Frankfurt, which hosts Wolfsburg on Sunday. 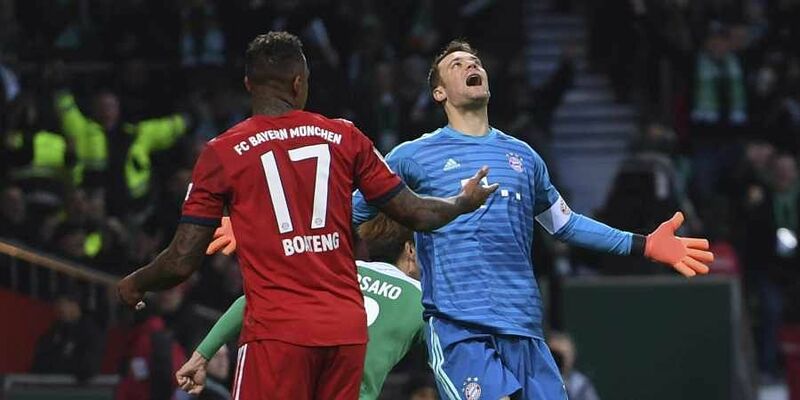 BERLIN: Borussia Dortmund stretched its Bundesliga lead with a 2-0 win over Freiburg, and Bayern Munich kept pace with a 2-1 win at Werder Bremen on Saturday. Substitute Paco Alcacer scored again for Dortmund, with an injury-time winner, as Lucien Favre's team moved seven points clear of Borussia Moenchengladbach, which visits Leipzig on Sunday. Gnabry broke the deadlock in the 20th minute. Joshua Kimmich sent the ball in for Gnabry to volley straight at Jiri Pavlenka, and the Germany forward scored at the second attempt from the rebound. Bayern was shocked by Yuya Osako's equalizer in the 33rd. Max Kruse crossed and Osako beat Jerome Boateng to the ball to head past goalkeeper Manuel Neuer. It ensured the Bayern captain conceded for the ninth straight game in the league since a 2-0 win over Schalke on Sept. 22. Franck Ribery had to go off injured shortly afterward, but Kingsley Coman came on to make his return from a recurrence of the left-foot injury that kept him out of France's World Cup win. Thomas Mueller set up Gnabry's second in the 50th, an injection of pace taking him past a defender to cross for Gnabry to score with a fortunate bounce off his shin. Dortmund's win was an edgy affair after the team failed to build on Marco Reus' penalty five minutes before the break. The spot kick was awarded after a bad challenge on Jadon Sancho from Freiburg defender Dominique Heintz, who stood on the England forward's right foot. Lukasz Piszczek struck the underside of the crossbar late for Dortmund, before Alcacer finally sealed the win after some good work from Sancho and then Piszczek to set him up. It was the Spanish striker's 10th goal in his eighth league appearance. Also, Stuttgart climbed off the bottom with a 1-0 win over Augsburg, and Hertha Berlin moved seventh with a 2-0 win at Hannover. Hoffenheim hosts Schalke later Saturday.